This is a question that I hear all the time and the simple answer is you should absolutely have your own website. Think about it. 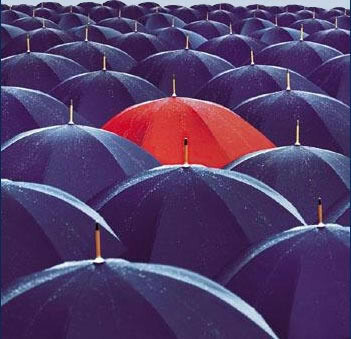 If you’re one of thousands of distributors, affiliates, or direct sales reps for the company you’re representing, how will you differentiate yourself among the masses? Most importantly, people buy from people and not from companies. Also, what if something happens to the company you’re representing and you haven’t created your own brand? I speak from personal experience when I say that CAN happen (the company that I partnered with as an affiliate was recently shut down by the FTC). If I didn’t have my own website and brand, I’d be (excuse the expression) screwed! The internet is a weird place. You don’t own anything on social media and you don’t own anything on your company’s website – they own it. The one and only place that you can call your own, is a website/blog. You can still sell your products on your website, but it’s best if you brand yourself and not the company you represent. If you’re in the health and wellness niche, you can brand yourself as the “Diet Expert” and do videos and/or blog posts about your success with the program and how if people join you, they’ll get what YOU have to offer vs. all the other distributors of the same company. If you’re in the “Make Money Online” niche, you should differentiate yourself with a certain skill that you have that other people in your niche may not have. Find a hole and fill it. For instance, that’s my niche and since I have website design experience that most other people don’t have and don’t want to have, I offer website design services for people in that niche. If you’re interested, just let me know and we can discuss your options. Having a website helps to establish you as an expert in your industry, helps grow your reach and influence and showcases your achievements. In network marketing, there are so many people doing the exact same thing and having your own website will show how someone will benefit from working with YOU. Don’t worry if you don’t know the first thing about setting up your own website. I’ve got your back! Lucky for you, I offer website design and creation services for small businesses who want to market online. Please email me at jan@shawglobalmarketing.com to schedule your free consultation on your needs.